I write long newsletters for my life coaching blog and use chunking extensively to help me publish them. I don't write my newsletters in one sitting, because I'm busy and can only block out so much time to put toward the newsletter in a given day. I set aside an hour a day to newsletter writing. Then I organize which parts of the newsletter I'll write each day; thus breaking them down into smaller chunks that are ready for me to write when its time to write them. On day one, I might write the table of contents and set up the outline of the newsletter, while also writing a book review. Usually this takes only an hour of my time. But when that hour ends, I feel like I've accomplished a lot. I've not only attended to the detail of writing a review, but I've also laid out the big picture of the newsletter by putting together an outline that I can fill out as I continue to work on the newsletter. The second day, I might write up the copy for a workshop I’m presenting. And the third day I might write the article for the newsletter. And I continue this method until the whole newsletter gets written. Breaking down the newsletter into manageable portions of writing each day gives me the ability to finish it up in time for my deadline. It also gives me the feeling that I have time to put toward my other projects. In fact, what I've done is not only chunked the information, but also my time, so that I feel that I've accomplished something. When I'm done with the work, I can use my left over time to work on other projects, or simply relax. You can take the concept of chunking and apply it to your own creative projects. First you need a project to work on. That project can be anything you want. A new podcast, a newsletter, a story, or if you're going to try this at work…pick a project from there. The next step is to sit down and think about how much time you can devote to this project. If you're working on a big project and you feel driven to complete it, ask yourself how you can make the project manageable enough to complete over a specific period of time. How much time can you give? Is two weeks enough, or a month, or will just a few days suffice? Is one hour enough, or do you want to spend eight hours working on that one project. Can you split the time up into two hour chunks with a break, or do you need to work the entire eight hours? Remember to keep in mind your own mental and physical limits—you don't want to burn out. Once you have an idea of how much time the project will take, you can then start organizing all the available information you have for the project. List all the things that need to go into the project. Then, look at this list. Do you see anything that draws your eye in immediately? Do you know what you want to start working on first? 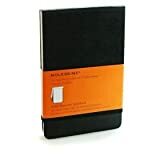 Jot some notes down for each item or organize your thoughts into an outline. You can also set an amount of time for each chunk of information to be completed in. Now, when you're ready to work on that project, you'll know what the order is and exactly how much time you have to devote to it. By keeping track of both the amount of time and what part of the project needs to be completed, you can measure your work against the big picture. This big picture is what the finished project looks like once you've completed all the things that compose it. Doing this also helps to recognize your achievements. It's especially important to recognize those achievements because that recognition helps motivate you to finish the project. It also keeps you grounded in realizing just how much you've gotten done, instead of agonizing over how much you feel you ought to have done. The NLP process of chunking helps you organize any project you work on. Chunk your ideas by breaking them down into small, manageable sizes. Doing so helps you keep an eye on the detail and relate those details back to the big picture. More importantly, using this technique can help you recognize what you've accomplished each step of the way. Submitted by Big Ol' Red (not verified) on Wed, 2008-05-21 08:08. Why is this article located in analog/digital? I didn't see anything in it related to Analog/Digital. I wasted my time reading it, because it had nothing whatever to do with the subject group in which it is found. It has nothing to do with what I was looking for when I clicked on the category "analog/digital". Submitted by innowen on Wed, 2008-05-21 08:43. I am sorry this article "wasted" your time. Not all articles located in one particular category may appease your appetite for that category. I felt it belonged in this category because to me, chunking implies that you need to write down your thoughts in an organized fashion. We use the Analog/Digital posts to highlight techniques/systems, products, or thoughts that relate to the category. Analog is a paper-based or thought-based activity, while digital implies the use of computers or hand-held systems. Chunking out a project, can be done using analog (paper) or digital (programs like Madcap Flare or LifeBalance). In technical writing, which is my profession, we use chunking (also known as leveraging or single-sourcing) to build manuals. I've designed manuals by taking small chunks of text, like a description or a single topic, and writing out what the text is down on an index card. These index cards get stacked up and broken into phases, so that when I go to write a particular iteration of the manual, I enter the text (or expand upon that subject) into an application, like Madcap Flare, that gets used to create and publish the manual. Submitted by Anonymous (not verified) on Fri, 2008-09-19 02:08. This is great!! I was amazed, but it's hard to find anything on the web on breaking down projects. Submitted by reepicheep on Wed, 2008-05-21 21:21. I didn't notice the topic assignment for this article; the recent posts page is where I start. However, I stopped two words in at NLP ... no waste of my time. But reading your comment was useful and not a waste. Submitted by elf_man on Wed, 2008-05-21 21:35. The thing to remember about NLP is that it can be effective, but you have to actually use it instead of just addicting yourself to seminars. Unfortunately, peak experiences are a problem with any of these things. Although it occurs to me that GTD has some of the same problems, when people constantly rework their system instead of actually using it. Hehe. Submitted by Jess on Tue, 2008-05-27 17:17. Someone please call the waaaaaaaaaambulance for Big Ol Red. And while you're at it, call the cops to hunt down the crazed person who held a gun to his head and made him read the article all the way through to the end. Can't you just be grateful that someone thought to share a tip that might make completing your next project a little bit easier? Even if you can't be grateful, please don't waste the time of the hard working people who run this site with your petty complaints. Submitted by brontide on Wed, 2008-05-21 18:55. Neat, I had never looked into NLP before and it's got some very good ideals. The only issue is that it has no relation to the topic that you posted about. "In Neuro-Linguistic Programming (NLP), there is a concept called chunking. ": Chunking in NLP is about communications, not organizing projects. Chunking is about identifying the granularity of the person you are communicating with and then altering your response. I could see if you wish to consider the work you do on a project as part of a "conversation"; in that respect you need to make sure you chunk your time in a way that will be compatible with the project that you have. In your case a newsletter is a "small chunk" conversation, while something more generic like writing a book would be a "large chunk" conversation that needs to be lead down the path to "small chunks" so the time would initially have to be scheduled in larger blocks before it could be chunked down to smaller and smaller blocks. It sounds more like you are engaging in something more akin to Gantt charting than NLP though. Submitted by brontide on Wed, 2008-05-21 22:24. The more I search on NLP the more my "psycho-babble" and "pseudo-science" meter goes off. Everyone seems linked to things like hypnotherapy, "breakthrough" weight loss, and motivational speaking. If it works for you then great. Submitted by Imagineyourreality on Thu, 2008-05-22 23:01. I used the NLP concept of chunking and applied it to a project. How I used it might not fit the strict definition of how it's used in NLP, but then again the point of NLP is to create flexibility in thought and communication. IMO, using the concept of chunking in a project still works and is just an application of the concept in a different medium than it might normally be used. Submitted by Metropolitan on Wed, 2008-05-21 20:49. Nicely done, and a good reminder to reduce the scope of things. I work in software testing, and breaking projects down into little pieces is pretty much the only way to get them done! Submitted by reepicheep on Fri, 2008-05-23 00:56. In Neuro-Linguistic Programming (NLP), there is a concept called chunking. In chunking, a person takes information and either breaks it down into manageable parts (i.e. focusing on the details, or breaking down the information into smaller pieces so that it makes sense in relation to the big picture), or takes a detail and asks questions to fill in the big picture around that detail. As a computing scientist I do this sort of thing all the time and did so for many years before NLP was even a twinkle in the eye of those who think it is a good idea. I look back to the late 1960s/early 1970s and the work of computing scientists like Edsger Dijkstra, Niklas Wirth, Tony Hoare, Don Knuth, Ole Dahl, Michael Jackson, and many others who devised various methods that we computing scientists now called stepwise refinement. Also as a computing scientist writing programming language compilers and run-time libraries I'm well used to chunking (or in the parlance of the 1959! Algol-x report thunking) by putting information on the run-time call stack. Now as a sign language interpreter I use chunking to over-come the limitations of my short-term memory (mine's only about four or five items deep rather than the average six or seven deep). Collecting related information together into chunks. Don't need NLP to do this; so suggest that this is a NLP technique is gross misrepresentation. Submitted by zippytex on Sun, 2008-11-02 22:46. Thank you for all the time and effort you put into this article. It motivated me to try it in my ordinary life. I am thinking of those projects that never seem to get done. Simple ordinary things like cleaning out all the closets in the house. I never seem to get around to accomplishing this task. Perhaps all of those hours spent browsing the pen section of various stores....? I sat down and decided that I had four closets to clean. I chose one and divided it into shelves, floor, walls, etc. So now I am doing one shelf a week. Eventually it will get done. I know this is a very simple thing, but until I read your article, I never thought of approaching it in this manner. Now as I walk by the closets, I no longer feel guilt but know one day they will reflect order. Thanks.